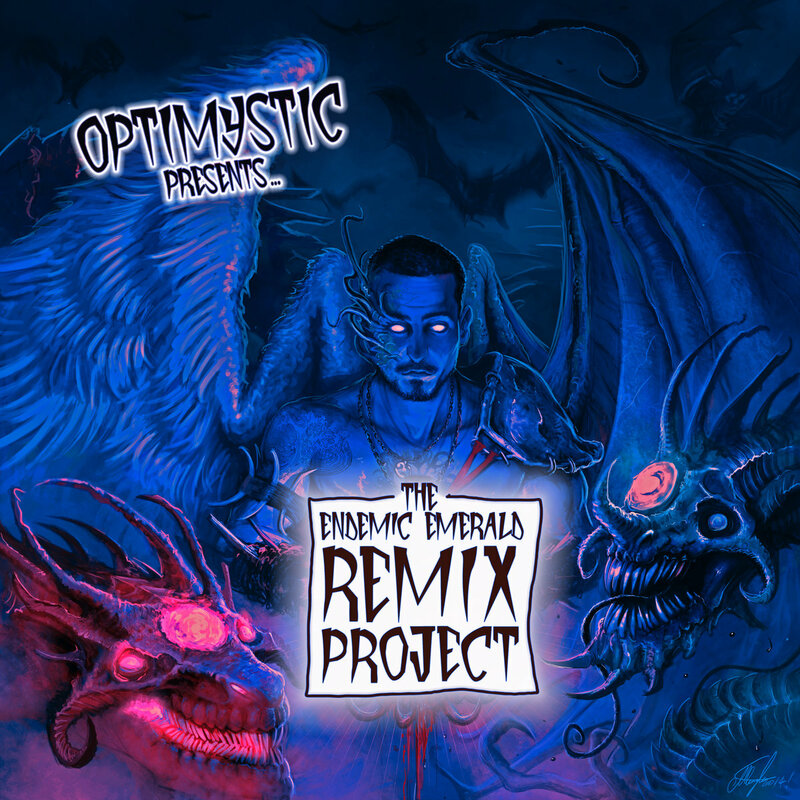 Australian emcee OptiMystic presents the Endemic Emerald remix project featuring 10 joints lifted from his 2016 double album: “Day of the Guiding Light / Followed by the shadow”. The set showcases some incredible remixes from producer Endemic Emerald where he flips an array of dope sounds and killer breaks! The all star line up of features comes from strictly legendary cats; Sticky Fingaz, Fredro Starr, Afu Ra, Chip FU,Doitall, Mr Cheeks, Killah Priest, Das EFX, Rockness Monsta, Big Shug, Jeru the Damaja & more. OptiMystic, hailing from Perth Australia, delivers topics of love, death, addictions & the great unknown. OptiMystic’s love knows no boundaries! Stream and get the LP via bandcamp from the link below! If you missed the original double album “Day of the Guiding Light / Followed by the shadow” from OptiMystic, and if you follow HHLAT you probably did because I dropped off the grid! So my apologies to OptiMystic and Tom at NOCure PR who I promised a review and never delivered. It was something I shouldn’t of taken on at the time. In fact, I loved the double album concept and the way OptiMystic dealt with the topics displaying a range of flows and wordplay, accompanied by a stellar guest list of artists. Stream and get the double album here and check it out for yourselves.